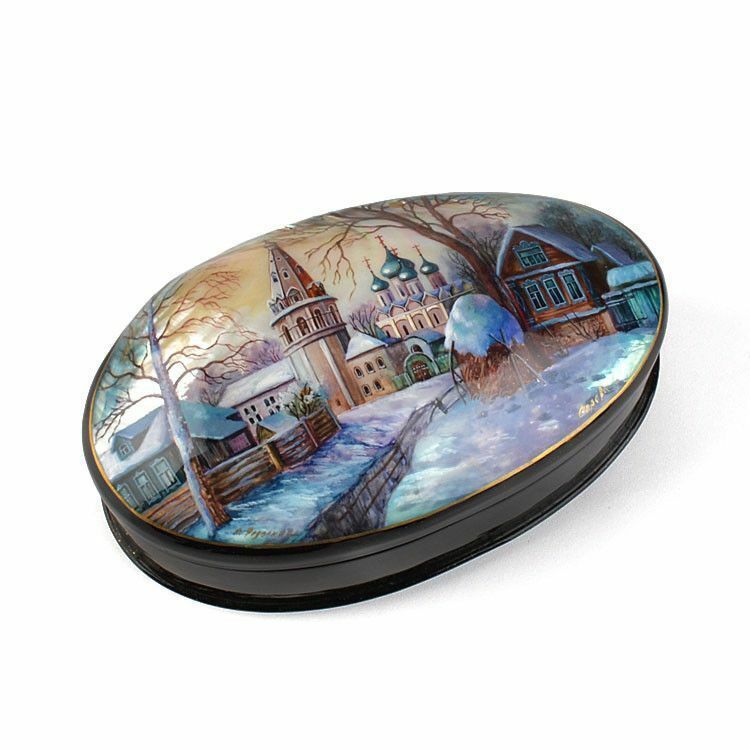 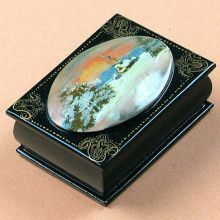 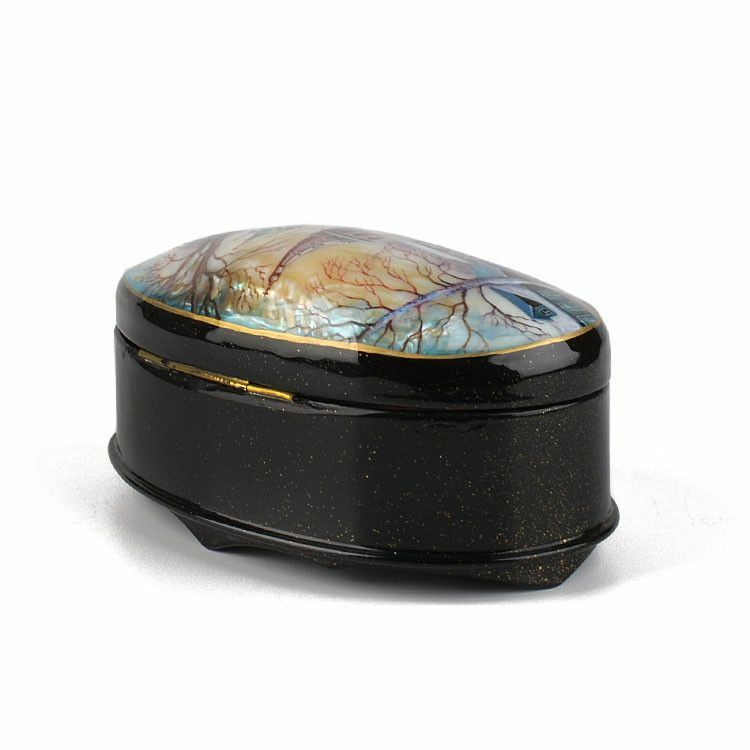 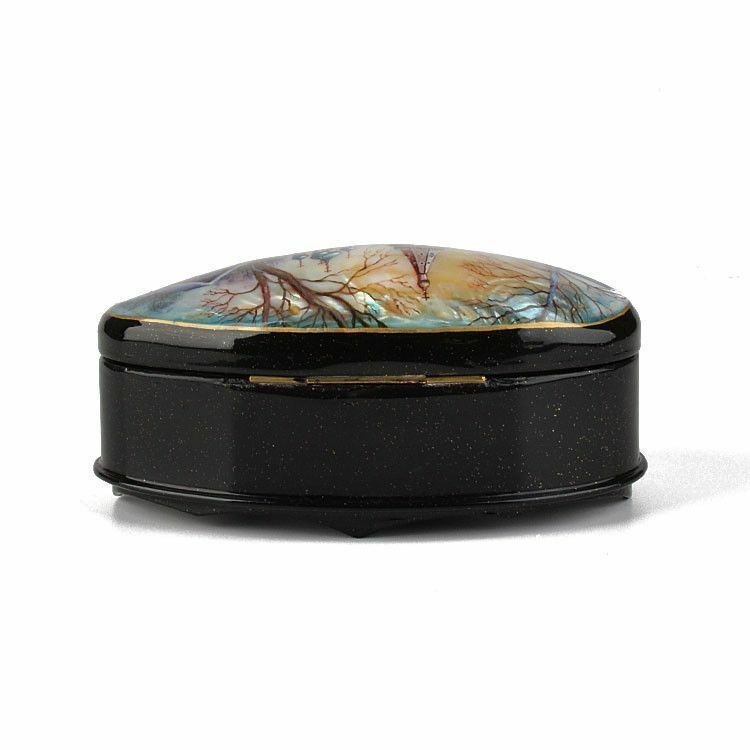 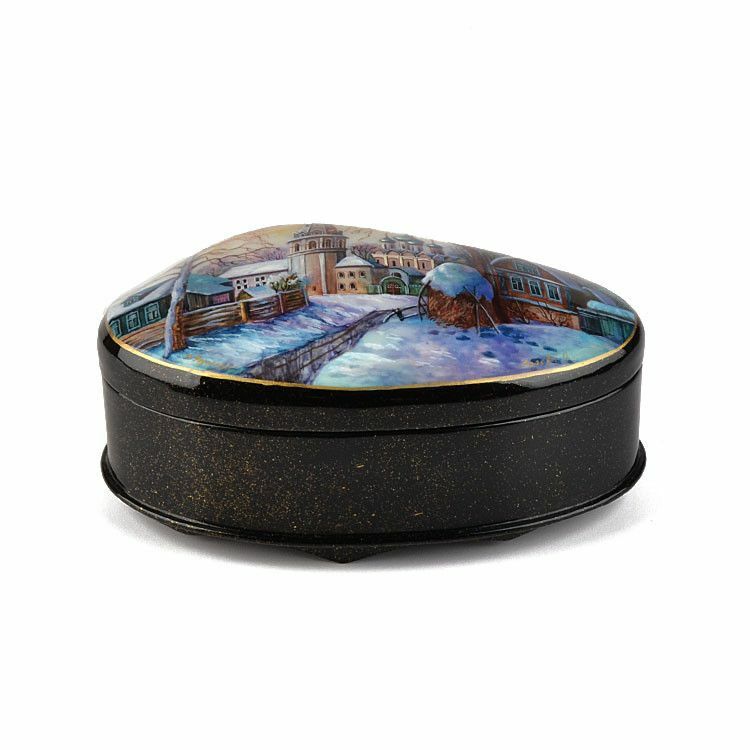 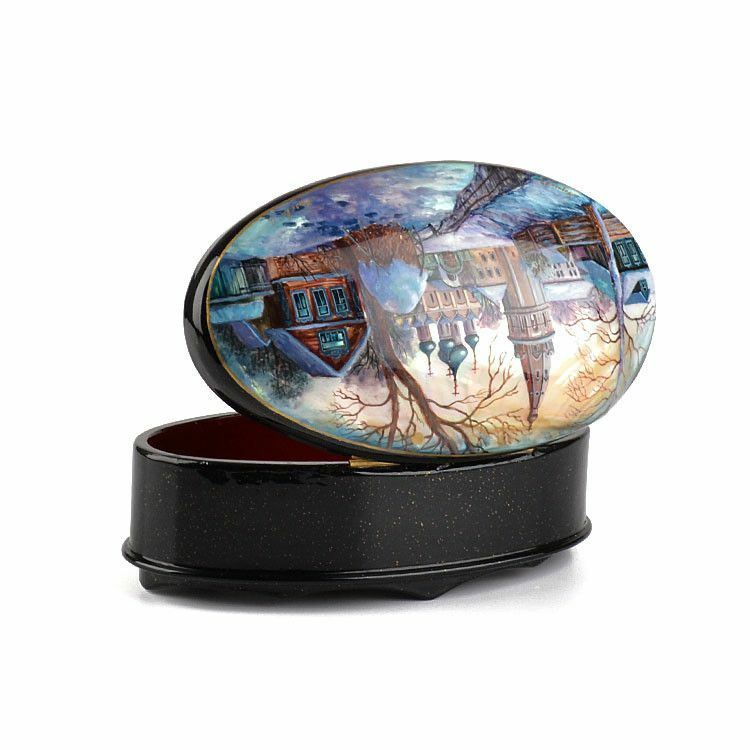 Glowing with natural Abalone shell luminescence, this collectible Russian lacquer box it breathtaking to look at. 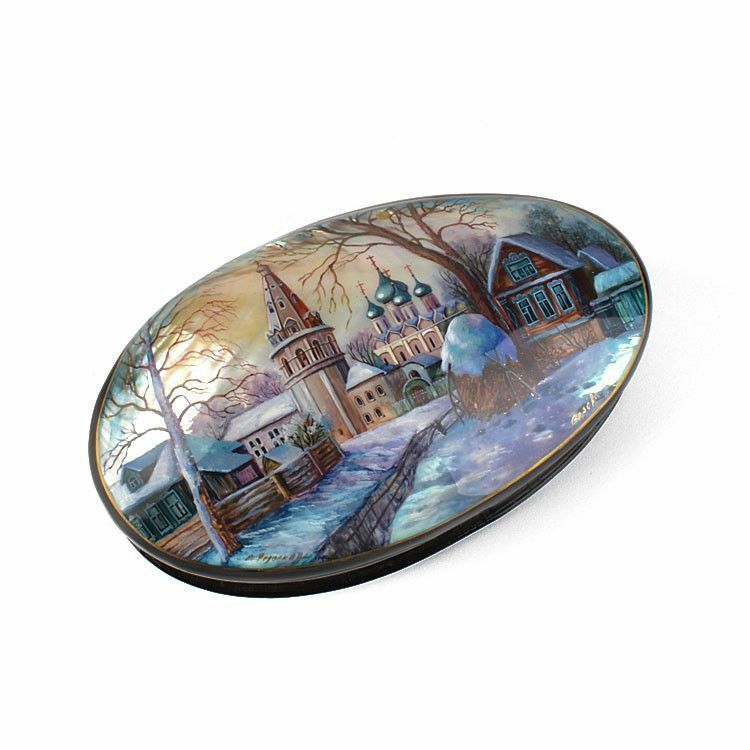 The old Russian village scene was hand-painted with the tiniest of paintbrushes by a talented Russian artist and then covered in layers of clear lacquer, to make a lasting piece of functional art. 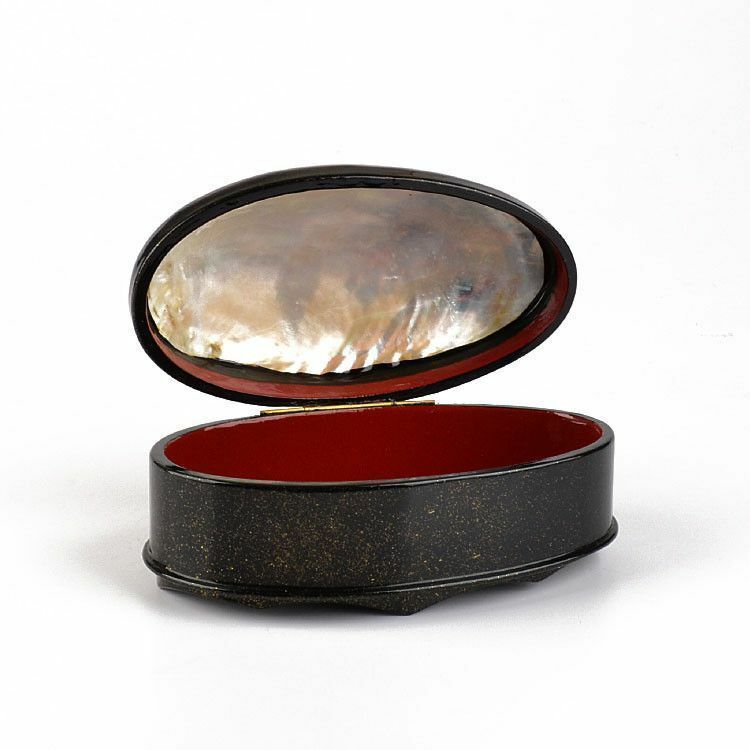 This authentic Fedoskino lacquer box is about 7 3/4" long, 4 1/2" wide, and about 3 1/2" in height, would make an excellent jewelry box for one's most prized jewels. 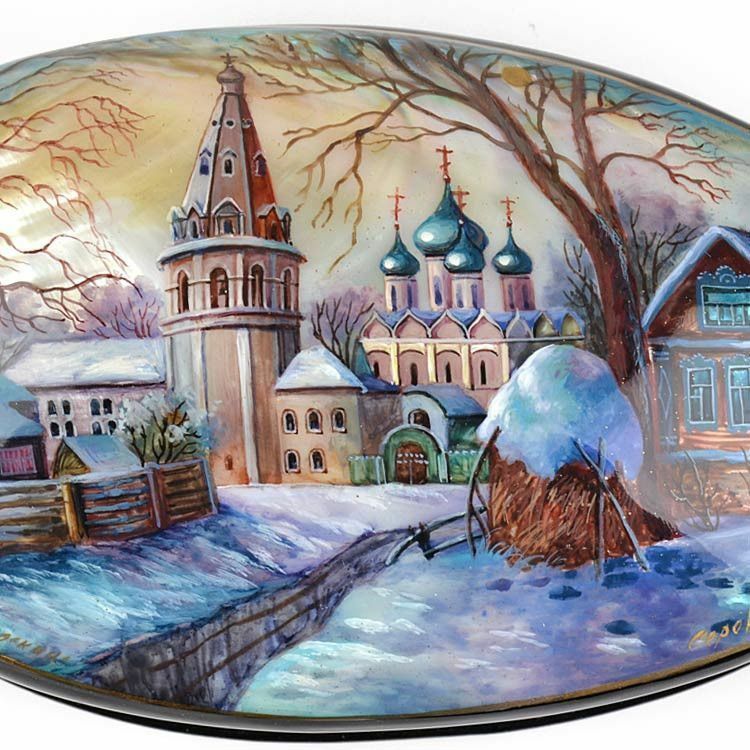 Signed on the front: Serova.